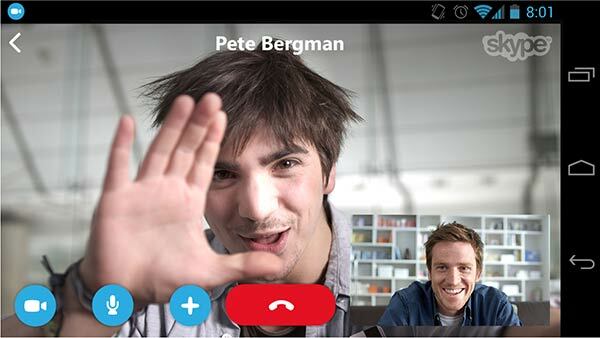 Microsoft has updated Skype for Android smartphones to be more multi-tasking friendly. The popular chat and messaging app can now let you take a Skype call without completely interrupting whatever else you might be doing on your mobile. Users also benefit from a picture-in-picture (PiP) display of video calling friends and colleagues which floats above the app you are currently using. The impressive Skype update for Android users came without fanfare or even a mention on the official Skype Blog at the time of writing. Luckily the guys at Engadget noticed that the app had been updated via the Google Play store to offer these new and improved facilities. Chats load faster, especially when opened from a notification. Picture in picture view lets you keep a video call going – for phones now too! Receive photos from Skype for iPhone and other new clients. Native Support for Hindi – SAHI! 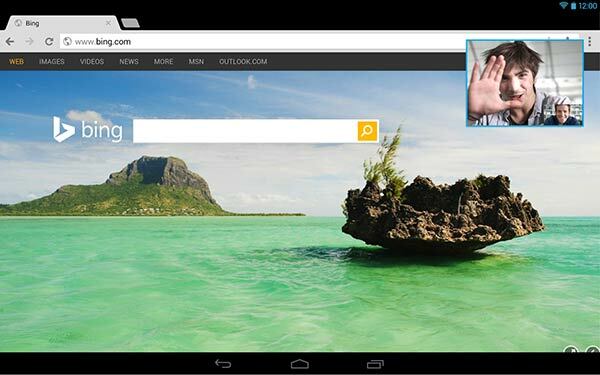 Interestingly the Skype for Android tablets app has had the PiP facility for a year or so, says Engadget. Anyway with the every growing number of people preferring smartphones with screens approaching the 6-inch mark most people are in effect carrying around pocket tablets. If you don’t auto-update or down have the Skype app for your Android smartphone go and pick it up here.